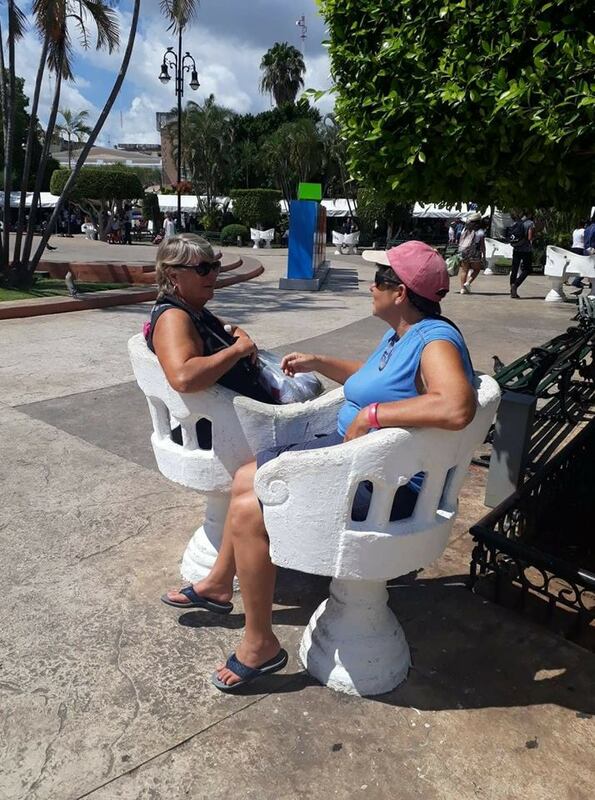 For the fourth year in a row, Cozumel 4 You is proud to host this weekly series, which features island residents – written in their own words, describe how they came to call the island home and what they love about Cozumel. Running from June – August, you can find the 2 prior years in our archives, 2014 & 2013. 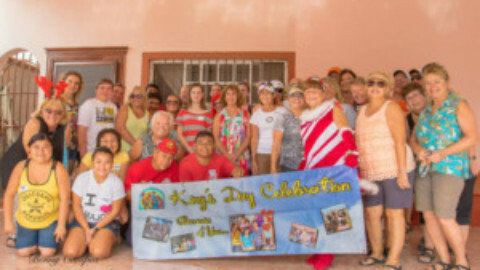 Ours is not the typical story of expatriates moving to Cozumel. We come from an area of California which is primarily Hispanic. We had a local grocery store where the checkers spoke Spanish during most of their transactions, it had a little deli that sold pollo rostizado, fresh tortillas and had a Mexican bakery in the store much like the grocery stores here. I noticed, living there, distinct differences between our local community and most of the folks we knew who had grown up in the United States. We had a little park that filled up with families on the weekends and in the evenings. The fathers were home with their families at night. That’s where our journey started. We took a cruise in February of 2011 and one of our ports was Cozumel. 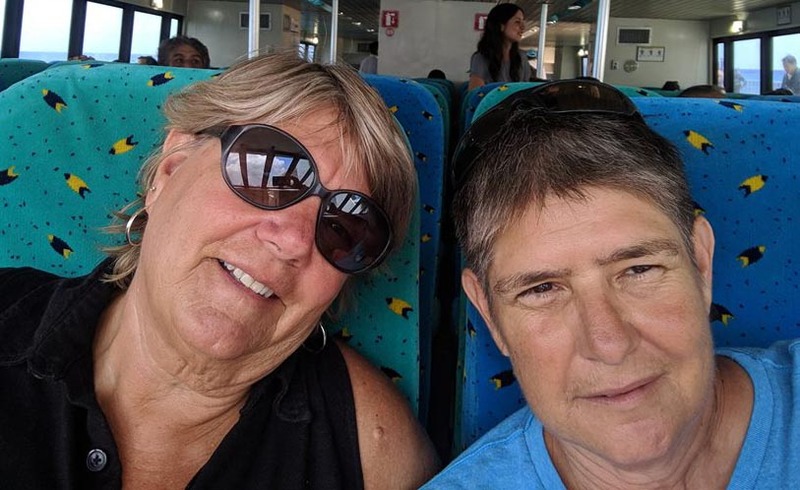 It was Joey’s first time in Cozumel and I had been once before on a cruise ship many years earlier. Being unenlightened at the time we did an excursion to Chankanaab and swam with the dolphins. We LOVED Cozumel. It was our favorite port! As we sailed away I said to Joey “We could live there”. She didn’t agree so the subject was dropped. A couple of months later she brought it up and I began researching the cost of living, paperwork required, exchange rate and other pertinent information. On July 1, 2011 we came for our 6 week trial run. We rented a condo near Corpus Cristi church, bought bicycles and cooked at home. We were trying so see what it would be like to live on the island. 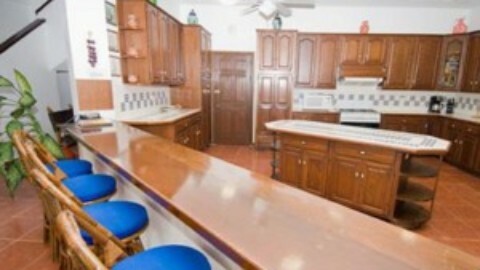 At the end of our trial stay we had rented a house in Corpus and went home to begin the process of relocation. I traded my car for a Jeep, we went to the Mexican consulate and began our, what was then FM3, process, looked into the paperwork for bringing our dogs, and started thinning out our belongings. On Feb 1, 2012 we loaded ourselves and our dogs into the Jeep with the little trailer we had purchased loaded with the things we thought we couldn’t live without. We turned the corner one block from our house at 5am and lost the trailer. Not to be stopped I jumped out and hooked the trailer on more securely and we were off. We travelled through Mexico with our dogs and had no problems whatsoever. We paid one bribe, as US penny, that the officer wanted for his child. Everyone along the way looked at us and saw their mothers, wives or someone dear to them I believe because we got nothing but love from everyone we encountered. We arrived on the island on February 15th. It was an exhausting journey but Mexico is a beautiful country and we saw every climate and terrain imaginable on our journey. I remember how excited we were when we got to the ocean. We boarded the Calica ferry and drove off to what we believe to be our home for the rest of our lives. myself greeting people on the street and kissing my friends on the cheek instead of the customary hug. This has become our home. We lived here for a year before we got certified to dive. By the time I had been certified for 2 years I had 300 dives under my belt. I’m often asked about moving here. I tell people that the trick is to leave your country of origin when you cross the border. Wipe the slate clean and be open to learning, adapting and adjusting to a new life. That’s the way we approached it and think we have been wildly successful. We heard a story that I tell people when they ask about moving here to demonstrate the huge cultural differences. If you see something in the store that is new and something you enjoyed before moving here you buy some. 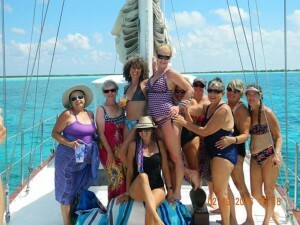 You post on Cozumel 4 You that it’s available. Then it sells out. You watch for it to come back in and when it does you only notify your closest friends. It sells out quickly again. You wait and watch for it to return. After an acceptable amount of time has passed you inquire about the item. The response is likely to be “We’re not going to order that any more, it sells too fast”. That’s what I love about this place! It’s not all focused on getting rich. It’s more about keeping things flowing at a nice pace, spending time with loved ones, and, oh yes, cerveza. If you are considering coming here either for a visit, an extended stay, or to live I say DO IT! Embrace the culture, the food, the beauty and all that this island has to offer. Just remember to check your home country at the border when you arrive. Maria Edwards Boyd-Scott has been happily residing in Cozumel with her wife and her 2 dogs since 2012. She’s active in a variety of groups including Vegan Cozumel, the Mermaids, who meet to swim in the ocean, and is a friend of Bill W.
La nuestra no es una típica historia de expatriados que se han mudado a Cozumel. Venimos de una parte de California conformada principalmente por hispanos. Teníamos una tienda e abarrotes donde los cajeros hablaban en español durante la mayoría de sus operaciones. Contaba con una pequeña deli que vendía pollo rostizado, tortillas frescas y una panadería mexicana muy similar a las panaderías en los supermercados locales. Viviendo ahí me percaté las diferencias distintivas existentes en nuestra comunidad local, y muchas de las personas que conocíamos habían crecido en los Estados Unidos. Los fines de semana y por las noches, el pequeño parque siempre muy concurrido por las familias. Por las noches, los padres estaban en casa con la familia. Ahí es donde comenzó nuestro viaje. 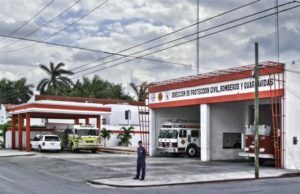 En Febrero del año 2011 abordamos un buque turístico y Cozumel era uno de los puertos en el itinerario. 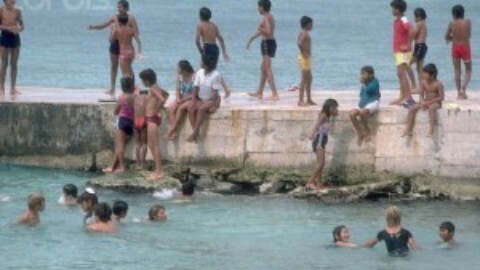 Era la primera ocasión que Joey visitaba Cozumel. Yo había venido muchos años antes a bordo de un buque turístico. Ya que en aquella época no éramos muy conocedoras, hicimos una excursión a Chankanaab y nadamos con los delfines. 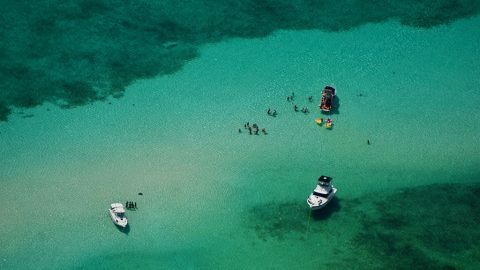 Nos ENAMORAMOS de Cozumel. ¡Era nuestro puerto favorito! Cuando zarpamos dije a Joey; “Podríamos vivir aquí”. No estuvo de acuerdo así que ya no tocamos el tema. Un par de meses después, Joey sacó el tema a la luz y comencé a investigar acerca del costo de vida, la documentación requerida, tipo de cambio y otra información pertinente. El 1º de julio del año 2011 llegamos a Cozumel a pasar una prueba de 6 semanas. Rentamos un condominio cerca de la iglesia Corpus Christi, compramos unas bicicletas y cocinábamos en casa. Queríamos probar lo que sería vivir en la Isla. Al concluir nuestra estancia de prueba, rentamos una casa en Corpus y regresamos a casa para comenzar el proceso de reubicación. Cambie mi auto por un Jeep, fuimos al consulado y comenzamos el proceso de lo que en aquel entonces se conocía como FM3; verificamos la documentación necesaria para traer a nuestros perros y comenzamos a reducir nuestras pertenencias. El 1º de febrero del año 2012 nos subimos al Jeep junto con los perros y el pequeño remolque que compramos, lleno con las cosas que suponíamos que no podríamos vivir sin ellas. A las 5 a.m. dimos la vuelta a la manzana y perdimos el remolque. Para no detenernos brinqué, enganché el remolque de manera más segura y comenzamos el viaje. Viajamos a través de México con nuestros perros y no tuvimos ningún problema. Sólo pagamos un soborno: un centavo estadounidense que un oficial quería para su hijo. Toda la gente en el camino se nos quedaban viendo y veían a sus madres, esposas o a alguien querido, supongo que así fue ya que sólo recibimos cariño de parte de todas las personas con las que nos topamos. Llegamos a la Isla el 15 de febrero. Fue una travesía agotadora, sin embargo México es un país bello y a través de la travesía encontramos toda clase de clima y terreno imaginables. Recuerdo lo emocionadas que estábamos al llegar al océano. Abordamos el ferry en Calica para dirigirnos al lugar que considero será nuestro hogar durante el resto de nuestras vidas. Adoramos Cozumel. La gente (tanto los expatriados como los locales) es sumamente cordial y amigable. Con frecuencia vamos a casa, y me encuentro saludando a las personas en la calle y besando a mis amistades en la mejilla en lugar del habitual abrazo. Este es nuestro hogar. Transcurrió un año de nuestras vidas aquí antes de obtener nuestras certificaciones de buceo. A 2 años de contar con mi certificación ya contaba con 300 buceos. Con frecuencia me peguntan acerca de mudarse aquí. Contesto a las personas que el truco es dejar atrás al país de origen cuando se cruza la frontera. Borrón y cuenta nueva; tener la disposición para aprender, para adaptarse y ajustarse a una nueva vida. Así es como nos integramos y consideramos que lo hemos logrado con mucho éxito. aquí. Si ves algo en una tienda que es nuevo y algo que disfrutabas antes de mudarte aquí, cómpralo. Publicas en Cozumel 4 You que eso está disponible. Se vende hasta agotarse. Te mantienes atenta hasta que lo traigan de nuevo y cuando eso sucede, informas sólo a tus amistades más cercanas. De nuevo se vende con rapidez. Te mantienes atenta hasta que lo traigan de nuevo. Después de un lapso aceptable, preguntas por el artículo. Es muy posible que la respuesta sea “ya no lo vamos a traer pues se vende demasiado rápido”. ¡Eso es lo que me encanta e este lugar! No se enfoca totalmente a hacerse millonario. Es más que nada permitir que las cosas fluyan a un buen ritmo, pasar tiempo con las personas que se quiere y, claro esta, cerveza. Si está considerando venir ya sea a visitar, a quedarse por un largo periodo o para quedarse, les digo: ¡HÁGANLO! Adopten la cultura, la comida, la belleza y todo aquello que la Isla ofrece. Sólo recuerden que deben dejar sus países de origen al momento que lleguen a la frontera. 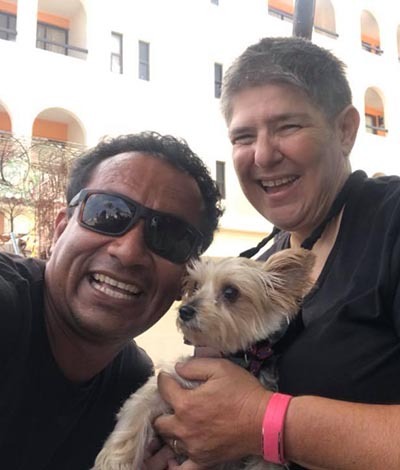 Desde el año 2012 Maria Edwards Boyd-Scott vive muy feliz en Cozumel junto con su esposa y sus perros. 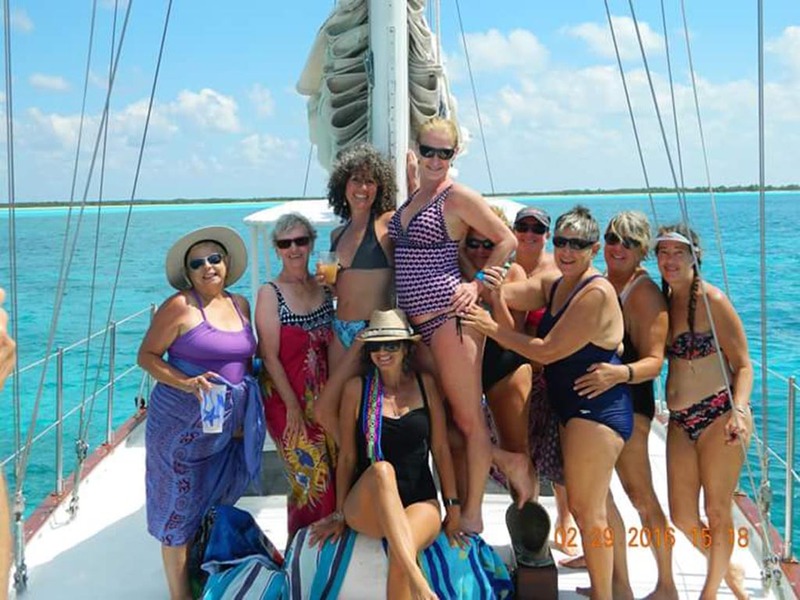 Es una persona muy activa con diversos grupos incluyendo “Vegano Cozumel” el grupo “Mermaids” que se reúnen para nadar en el océano y es amiga de Bill W.